If any remnants of Hurricane Irma reach eastern Massachusetts, all we are likely to see are rainy days. But there are historical records of much, much stronger storms having a direct, catastrophic impact locally. 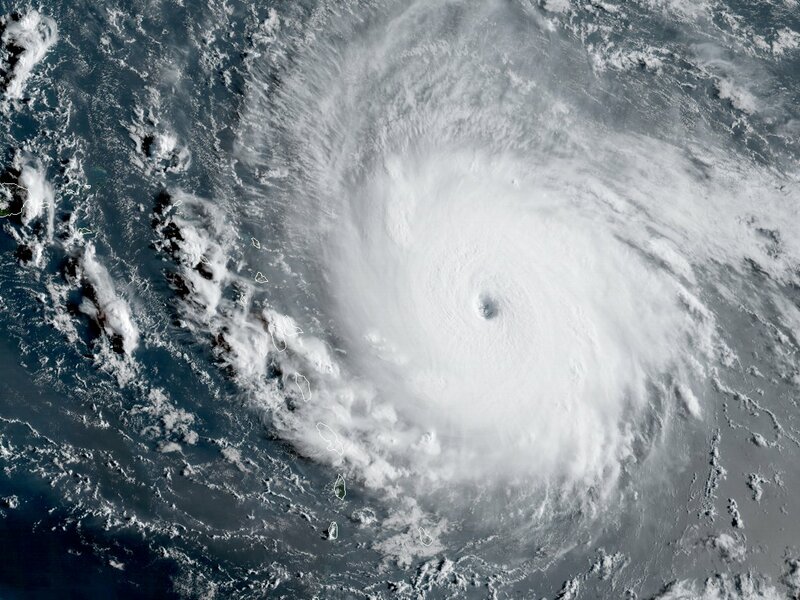 1938: The practice of naming Atlantic hurricanes with women’s names did not begin until 1947; or retiring names of major storms after 1955, or having men’s names rather than only women’s starting in 1979. Thus, the storm of 1938 came be known as the Great New England Hurricane, also the Long Island Express. Mistakes in interpreting weather data had led to a prediction that this storm would dissipate to gale force before making landfall. Instead, on September 21, 1938, it reached Long Island with hurricane force winds and a significant storm surge. More than 600 people died – mostly in Rhode Island. 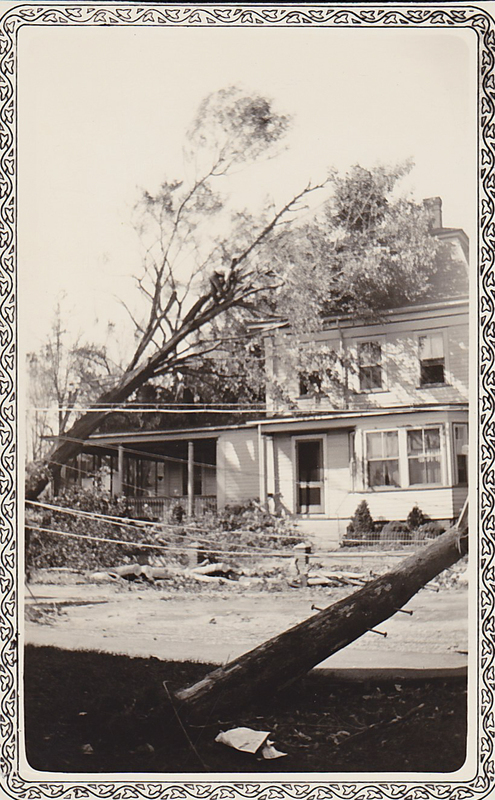 The oldest residents of Maynard and Stow remember vast numbers of trees being blown down, blocking streets and damaging buildings. 1954: A double-header! Hurricane Carol also crossed the east end of Long Island, reaching landfall as a Category 2 storm. In Boston, high winds destroyed the steeple of the Old North Church. Hurricane Edna crossed Cape Cod as a Category 2 storm just ten days after Carol had tracked a bit farther west. Locally, rainfall of 5 to 10 inches on ground already saturated by the passage of Carol flooded basements and rivers. Combined, the storms destroyed much of the peach and apple crops just weeks before harvest time. 1955: Hurricane Diane waltzed ashore in the Carolinas, wandered across New Jersey and southern New York, before heading eastward across much of Massachusetts. By this time it was weak wind-wise, but very, very wet. Much of southern Massachusetts, from its border with New York to the ocean, experienced flooding. Half of Worcester was under water. Locally, an estimated 15 inches of rain fell in four days. The Assabet River crested at 8.93 feet, the highest it had been since 1927 and the highest since. (The flood of 2010 crested at 7.1 feet.) Main Street flooded, as did the first floor of the mill building closest to the river. No bridges were lost. 1991: Hurricane Bob!!! This storm of August skirted the coast before making landfall at Newport, Rhode Island as a Category 2 hurricane. Forecasting was good, so Rhode Island and Connecticut were able to declare of emergency before the storm hit. The storm crossed eastern Massachusetts fast and relatively dry, so most of the damage was due to high winds and storm surge along the coast. Provincetown reported sustained winds exceeding 100 miles per hour. Locally, downed trees and minor damage to buildings. The name “Bob” was permanently retired, joining Diane, Edna and Carol as other New England hurricane names we will never hear anew. An explanation of ‘storm surge’: coastal flooding can be severe during hurricanes (and also northeasters). Storms are centers of low air pressure, meaning less weight of air on the water, causing water level to rise underneath storms, which have low barometric pressure. Of much greater importance, the push of wind across long distances of water for prolonged periods of time not only generates large waves, but pushes water. When this reaches shore at times of high tide, the water can be five, ten, fifteen, even twenty feet above normal high tide. The Galveston, Texas hurricane of 1900 pushed a storm surge of 10 to 15 feet across a city that was mostly 10 feet above sea level, flattening the city and resulting in a loss of an estimated 10,000 lives, making it the deadliest natural disaster to every strike the United States. The Texas flooding from Hurricane Harvey was from rain, whereas the coastal flooding from Hurricane Irma was mostly storm surge (as when Hurricane Sandy hit New Jersey and New York). One oddity - a storm tracking north along a west coast, much as Irma tracked north along the west side of Florida, will initially push water away from the shore, as wind direction on the north side of the storm is east to west. After the eye passes, the winds on the south side of the storm blow west to east, pushing all the water back. All Irma delivered to eastern Massachusetts was scattered showers. Jose blessed Martha's Vineyard, Nantucket and the outer Cape with gale force winds and inches of rain, but much less west of Boston. Maria is too far away to guess what it will bring to New England.